2019 Show me, Tell Me Questions. If you're looking for the 'show me, tell me questions' (also known as the vehicle safety questions) then you've come to the right place. Below are all the DVSA driving practical driving test questions and answers. The examiner will ask you one 'tell me' question at the start of the driving test before you start driving, where you'd have to explain how you'd carry out a safety task. You'll also be asked one 'show me' question where you'd actually have to show them how you'd carry out a safety task while you're driving. The show me question could be asked at any time during your driving test including the independent driving part. If you're unsure how to do it when driving on the test then the examiner will ask you to pull up on the left when it's safe and convenient and ask you you to find the control. It's a good idea to get familiar with where the controls are and how to use them before you try it when driving. You won't fail your driving test if you get any of the questions wrong but you would get one driving fault if you incorrectly answer one or both questions. You can get a serious or dangerous fault if you lose control of the car when answering the 'show me' question. These questions are for a Ford Fiesta, but a lot of cars are similar. Q: Open the bonnet and tell me how you’d check that the engine has sufficient oil. A: The dipstick is identified in the picture below. This involves you opening the bonnet. You would check the oil level by removing the dipstick, wipe it clean of oil, dip it back in, removing it again and the oil should leave an oily mark between the maximum and minimum marker. Q: Open the bonnet and tell me how you’d check that the engine has sufficient engine coolant. A: The coolant expansion tank is identified in the picture below. This involves you opening the bonnet. The coolant can be checked by looking at the maximum and minimum levels found on the side of the expansion tank (never open the coolant when it's hot). Q: Open the bonnet and tell me how you’d check that you have a safe level of hydraulic brake fluid. 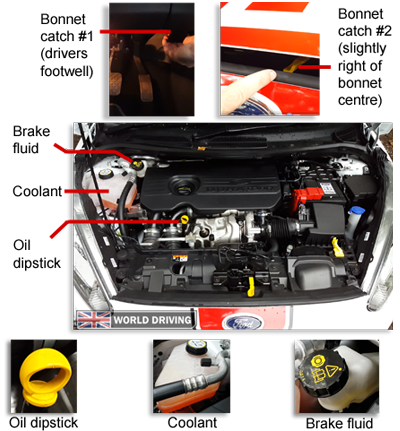 A: The brake fluid reservoir is identified in the picture just below. This involves you opening the bonnet. It can be checked by looking at the maximum and minimum levels found on the side of the brake fluid reservoir. Q: Tell me how you’d check that the brakes are working before starting a journey. A: Tell the examiner that you would drive forward slowly, press the foot brake, it shouldn't feel spongy or slack and the car shouldn't pull to one side. Q: Tell me where you’d find the information for the recommended tyre pressures for this car and how tyre pressures should be checked. A: Tell the examiner that you would check and adjust all the tyres including the spare tyre when they're cold with an air pressure guage. Don't forget to refit the valve caps after. Tyre pressure information can be found in the car manual or sometimes there's a sticker on either the drivers or passengers door pillar. Q: Tell me how you make sure your head restraint is correctly adjusted so it provides the best protection in the event of a crash. A: The head restraint should be adjusted so the rigid part is at least as high as your eye or top of the ears and as close to the back of your head as comfortable. If you do need to adjust it, there's a little button at the base of the head restraint that you can press and then move the head restraint up or down. Q: Tell me how you’d check the tyres to ensure that they have sufficient tread depth and that their general condition is safe to use on the road. A: You would check all the tyres with a tread depth gauge. The tread depth should be no less than 1.6mm across the central three quarters breadth of the tyre and you'd check this all the way round the tyre. There also shouldn't be any cuts or bulges on the outside of the tyre wall. Q: Tell me how you’d check that the headlights and tail lights are working. You don’t need to exit the vehicle. A: You'd turn the ignition on, turn the dipped headlights on and then walk round the car to check that the headlights and tail lights are working. Q: Tell me how you’d know if there was a problem with your anti-lock braking system (ABS). A: You'd tell the examiner that when you turn the ignition on, some warning lights will illuminate on the dashboard. The ABS warning light should go off when you start the car unless theres a problem. Q: Tell me how you’d check the direction indicators are working. You don’t need to exit the vehicle. 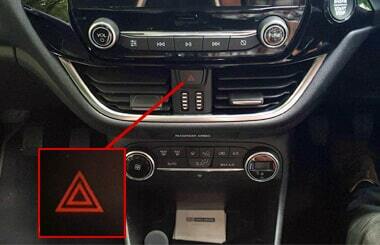 A: Tell the examiner that you'd press the hazard warning lights button, it's identified by a red triangle. Then you would walk around the car to make sure all six indicators are working (you don't need to physically check on the driving test as it's a 'tell me' question). Q: Tell me how you’d check the brake lights are working on this car. A: Tell the examiner that you'd turn the ignition on, press the foot brake and either see reflections in windows or a garage door for example or ask someone to help and check the brake lights are working. Q: Tell me how you’d check the power-assisted steering is working before starting a journey. A: To check it's working, you can give the steering a little pressure as you start the engine. There should be slight movement as the power steering begins to operate. Also, as soon as you move off, you'll feel the steering is light to turn and not heavy. Q: Tell me how you’d switch on the rear fog light(s) and explain when you’d use it/them. You don’t need to exit the vehicle. A: Tell the examiner that you would use the rear fog light when you can't see further than 100 metres. 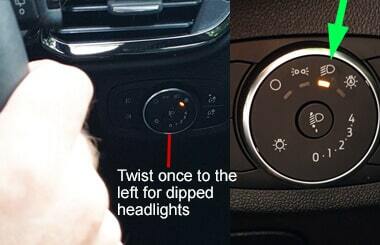 You would firstly need to turn on the ignition, turn on the dipped headlights and then press the button shown in the image for the rear fog light. You would tell the examiner that you know it's on because you would see a warning light on the dashboard. Q: Tell me how you switch your headlight from dipped to main beam and explain how you’d know the main beam is on. A: Tell the examiner that you would have to turn on the ignition. Turn on the dipped headlights. Pull the stalk on the left (in a Ford Fiesta) towards you for the main beam. 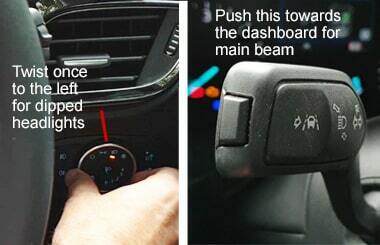 Explain to the examiner that this blue indicator light on the dashboard shows the main beam is on. Q: When it’s safe to do so, can you show me how you wash and clean the rear windscreen? A: The control for this is on the right hand stork (Ford Fiesta). 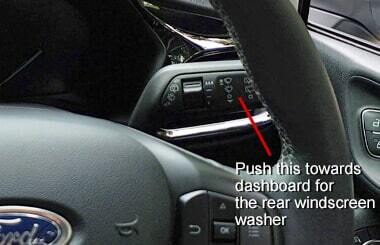 To use it, pull it towards you slightly to turn the rear wiper on and a little firmer and hold it to wash it. Let go to stop the water and then push it away from you to turn off the rear wiper. Q: When it’s safe to do so, can you show me how you wash and clean the front windscreen? A: The control for this is on the same stalk as the rear windscreen washer. This time you'll have to press the end of it to squirt the windscreen washer. Only use it when it's safe as it might be hard to see out of the windscreen for a second. The wipers activate automatically in this Ford Fiesta and turn themselves off but you might have to turn them on and off yourself in the car you're driving. How to do an emergency stop perfectly! Q: When it’s safe to do so, can you show me how you’d switch on your dipped headlights? 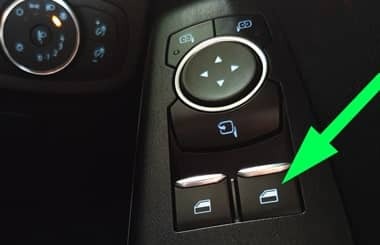 A: The switch for the dipped headlights is shown in the image. Turn the switch twice to the right for the dipped headlights. The symbol on the dashboard shows they're on. Don't forget to turn them off after. Try not to look at the control when driving. Q: When it’s safe to do so, can you show me how you’d set the rear demister? A: The demister controls are shown in the image. Press it turn it on. Don't forget to turn it off by pressing it again. Q: When it’s safe to do so, can you show me how you’d operate the horn? 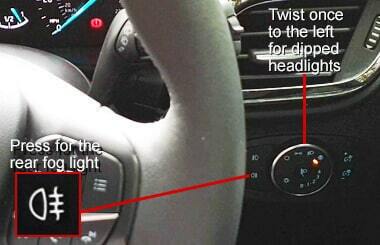 A: The horn is in the centre of the steering wheel. When there aren't any other road users nearby just press it. Q: When it’s safe to do so, can you show me how you’d demist the front windscreen? 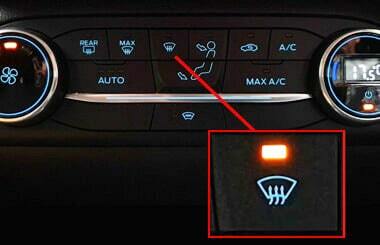 A: The demister controls are shown on the image. This car has a heated front windscreen. To turn it on and demist, press the button shown. Don't forget to turn it off by pressing it again. Q: When it’s safe to do so, can you show me how you’d open and close the side window? A: The same as all the other 'show me' questions, only do this when it's safe. The controls are on the drivers door. You can open and close any window. The button on the right is for the drivers window. Press it down to fully open the window. Pull it up to close the window. Try not to look at the controls when driving. 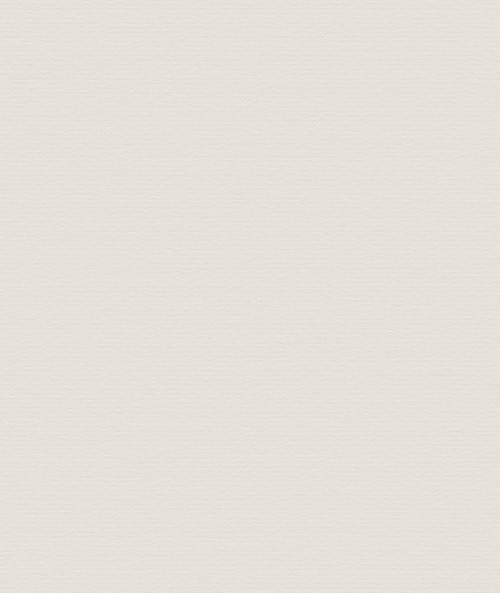 Is this the full list of the DVSA practical driving test Show Me, Tell Me questions and answers? Yes, it is. We've also tried to word the answers in as plain english as possible and in a memorable way. When do they ask the Show Me, Tell Me questions? The examiner will ask you the 'tell me' question after you've read a number plate (eye sight test) at the start of the practical driving test. You'll be asked a 'show me' question whilst you're driving. What happens if I fail the Show Me, Tell Me questions? Firstly, you won't fail your driving test! You will get a maximum of one 'driving fault' (a minor as they're commonly called) if you get one or both the questions wrong. How many 'driving faults' am I allowed in my practical driving test? You're allowed up-to fifteen driving faults. They are also known as minor faults. Read more about the driving test here.